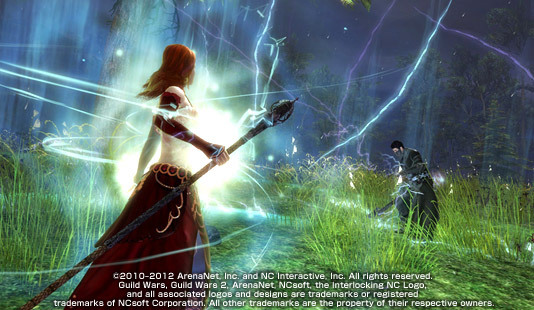 ©2010–2012 ArenaNet, Inc. and NC Interactive, Inc. All rights reserved. Guild Wars, Guild Wars 2, ArenaNet, NCsoft, the Interlocking NC Logo, and all associated logos and designs are trademarks or registered trademarks of NCsoft Corporation. All other trademarks are the property of their respective owners.